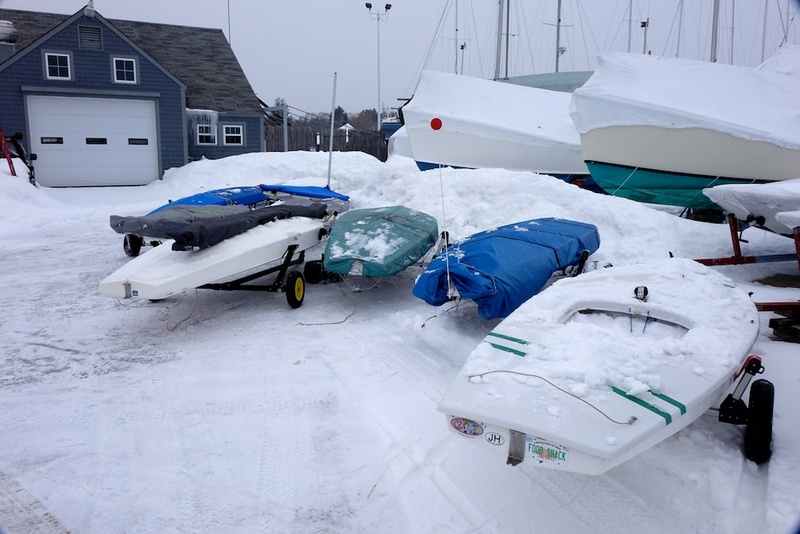 Massapoag Sunfish Fleet News: Say it Ain't Snow! These guys were supposed to be racing this week. Today was supposed to be the first day of the spring Frostbite season at Barrington. The racing was cancelled because the river is still clogged with ice, the dock replacement project is running late due to the weather, meaning that the support boats had nowhere to dock, and a lot of Sunfish were still snowed in. Not to mention that the wind speed (5 mph) exceeded the temperature (1 degree F). 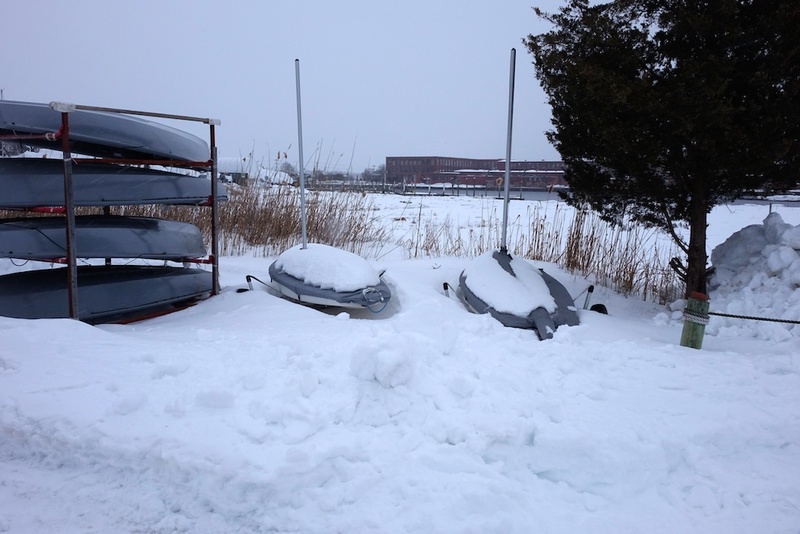 Thanks to everyone who showed up to shovel out boats and move them to the North parking lot. The boats are all huddled together like penguins for warmth. Racing next week is questionable, for both logistical and safety reasons, not to mention that it is still just too damned cold for a lot of people to race. We will post an update here as soon as we have word about racing.